The Christian Council of Ghana (CCG) has elected Rev. 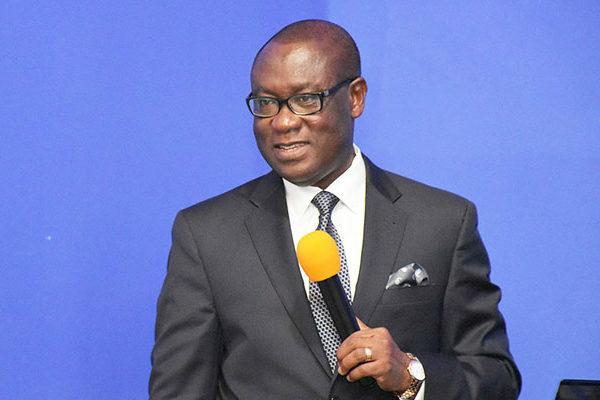 Ernest Adu-Gyamfi as its Chairman. Rev. Adu-Gyamfi, who is the Executive President of the Ghana Baptist Convention, was elected at the Council’s 2016 Annual General Meeting (AGM), which took place at the Rev. Peter Kwei Dagadu Memorial Methodist Church in Osu on April 13, 2016. His election follows the successful end of term of Rt. Rev. Prof. Emmanuel Martey, Moderator of the Presbyterian Church of Ghana. Until his election, Rev. Adu-Gymafi was the Vice Chairman of the Council since April 2015. The AGM has also elected Most Rev. Titus Kofi Awotwi-Pratt as the Vice Chairman. Most Rev. Awotwi-Pratt who is the Presiding Bishop of the Methodist Church Ghana is a member of the Executive Committee of the Council. The Council expressed gratitude to Rev. Martey for his “enormous” contributions to the work of the Council during his tenure as the Chairman, and asked God to continue to bless him for his dedication to the work of the Council. The Council also congratulated Rev. Adu-Gyamfi and Rev. Awotwi-Pratt on their elections and asked the good Lord to grant them the needed grace and wisdom to lead the Council.